The initial idea for a work of public art to honor Carolina's favorite literary son came from another literary graduate of the University, Armistead Maupin (class of 1966), one of many to be inspired by playwright, poet, and all-around man of letters Thomas Wolfe (class of 1920). 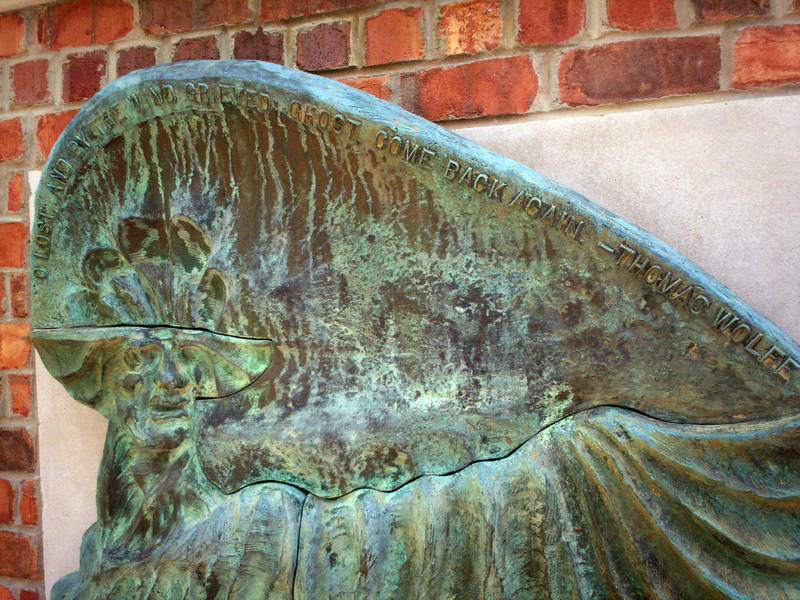 Designed by UNC art professor Richard Kinnaird, forged by Strickland Foundry in Richmond, Virginia, and bequeathed by the class of 1966, this 850-pound bronze relief depicts a radiant angel with outstretched wing and a famous inscription from Wolfe's Look Homeward, Angel: "O lost, and by the wind grieved, ghost, come back again." The monument originally stood at the northeast corner of Person Hall but was soon moved to Gifford Court at the northeast corner of New East in 1972. Though the New East location was appropriate, given that Wolfe studied in that historic building, the somewhat hidden memorial received few visitors and fell into disrepair. 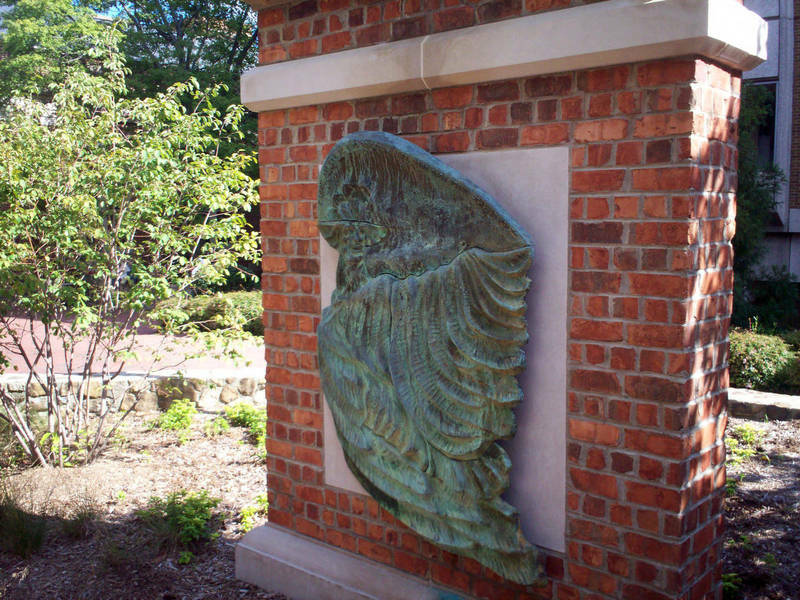 After a years-long campaign by admirers (documented by Joseph M. Flora in the January 2006 issue of the Thomas Wolfe Review), the University restored the brass relief and mounted it on a free-standing brick wall in the memorial courtyard between Murphey and Greenlaw Halls.